Splitting large PST file is the most common issue faced by MS Outlook users. On Google, it is the most often query asked by the users. As everybody knows, oversized PST file creates a problem in MS Outlook so, it becomes a necessity for Outlook users to split large PST file on time. Moreover, PST file supports two different formats i.e. ANSI and Unicode format according to versions of Outlook. According to the type of PST file type, there file size limits also vary. 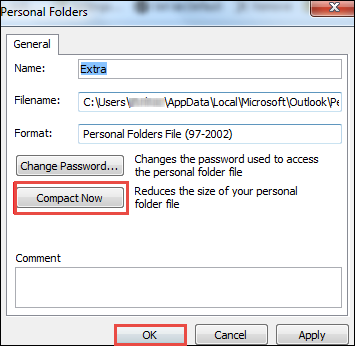 If a user does not break Outlook PST file before it exceeds its maximum limit, then it may corrupt your PST file also. Therefore, to prevent MS Outlook from all such situations, one must crop large PST file and access Outlook application in more synchronized and manageable way. Here, in this, we have discussed all possible solution that one can use to split 5 GB Outlook PST file in version 2016, 2013, 2010, 2007, 2003, etc. 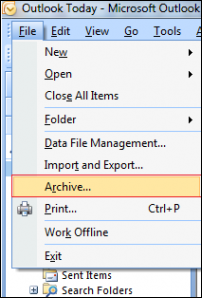 It becomes more easy for a user to manage small size PST file in MS Outlook, as splitting PST file into smaller parts improves searching process in Outlook. One can overcome the hanging problem and slow performance issue that comes in MS Outlook due to large size PST file. Splitting PST file reduces chances of corruption in Outlook data files. Hence, it becomes necessary to break Outlook data file in order to prevent corruption. To prevent Outlook from any problem due to large size PST file, one must divide PST file. 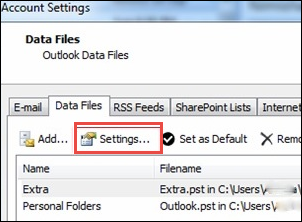 In order to break Outlook data file (.pst), there are three different manual procedure available. One can choose any of them according to their requirement. With the help of this process one archive PST file by year but does not reduce PST file size. Therefore, there is a need to decrease PST file size. If a user wants to divide large PST file, he can also go for Import and Export feature offered by Outlook to split large PST file into smaller parts. 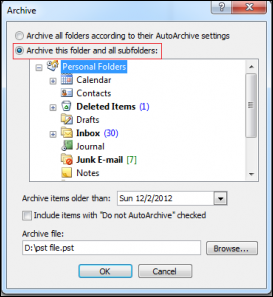 After that, in Move Items option, select the new folder in new PST file and press OK button. There are various manual procedures discussed above that a user can use to break large size Outlook data files. However, there are some limitations also in using manual methods that a user may face. All three solutions are very lengthy and time-consuming. Moreover, any of them is not a proper solution to overcome oversized PST file problem in Microsoft Outlook 2016, 2013, 2010, 2007, 2003, 2002, 2000. Therefore, to have an easy-to-use and reliable solution, one can go for a trusted third party tool i.e. Split PST File. Microsoft Outlook stores all important data files such tasks, notes, emails, and many more in PST file format. As it is large in size so, if it exceeds it maximum size limit it will become a big issue. To avoid such type of problem, one can split Large PST file. After considering all the questions asked by the users regarding how to split 5 GB Outlook PST file, we have discussed the benefits and the different manual solutions to do the same. If a user faces any issues in manual solution, then they can go for an effortless solution i.e. Split Oversized PST, as discussed above.